There is currently a case of a mixed-race artist in America who has appropriated an image he found online, originally by a black female artist, and turned it into a mural. I understand that this has now become a legal issue. 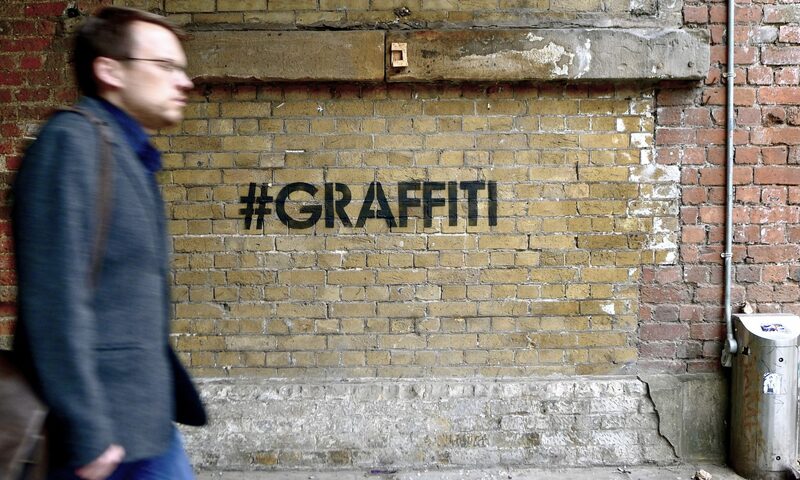 I have been an expert witness in several graffiti and street art related court cases in the UK, so would not want to comment on this case too directly while it is on-going. What I would say is, the world is awash with kitsch murals, and this appears to be another example. Street art and kitsch for me is an on-going area of frustration. With the continued explosion of street art, there is also an explosion of kitsch. That means art that is sentimental, lacks criticality and where the materials the work is produced with have no relevance to the subject of the work. It might also mean the artist has not considered site specificity. Kitsch pushes the discourse of visual art back around seventy years, or perhaps further. The issue of appropriation (particularly by white male culture) in relation to street art is very complex. It is a major issue within the street art scene, but also a wider problem of inexperienced artists who don’t really understand the difference between post-modern appropriation, that is copying something to give it a new context and make a political point, and simply copying something, with no other real motive other than, they “like” the work. Street art today has become the preserve of what has been called the “skater dad”. That is a man (can be a woman also), who is old enough to be a father, but dresses like he is about to go skateboarding. This is pretty much a global trend. The way this links to “white male appropriation” is that the skater dad has basically appropriated youth culture as whole. It’s not standard appropriation, where someone with no links to a culture, simply steals from a genre. Skater dads may well have been skaters back in the day. But now, they really should focus on being dads. Aside from the predominance of kitsch, a major problem of the street art movement around the world is not only that so many of the artists are white and male, but that the institutional structures that surround the scene are white and male. This also means the people who primarily make money out of this scene are white and middle class (there are also a surprising number of aristocrats involved in street art and graffiti at various levels), and if they wanted, could get a job in a bank tomorrow. That’s the difference and that’s what separates the skater dad from the real deal. Some people have a choice. They can be skater dad on the weekend, and go to the office on Monday. But not everyone has that choice. Skin colour or gender are not so easy to leave at home when you feel like it. And that’s the problem with blindly appropriating culture. YT, POC, “they”, latinx, race, and gender issues are coming thick and fast. While those topics are relevant and important, sometimes the bigger picture can get lost in these nuances, which in turn can lead to more populist arguments seizing the agenda. Put simply, while we argue over the ethic make up of an art exhibition or the moral implications of stealing an image from Instagram, someone else is busy running the country into the ground. Should some random American mural artist have stolen another artist’s work and painted it on a wall? No, probably not. Am I hugely offended by this on some ethno, gendered, white man bad, level? No. I think there are more important issues to worry about, and kitsch murals aren’t going to solve them. Artists now, perhaps more than ever, should fight to make work that has meaning. Not only for today, but for the people who will look back at 2017 and ask, “What was going on?”.